When the world’s business and political leaders met in Davos at the World Economic Forum last week, the mood was cautious and reflective. There are too many challenges for any revival of the confidence for which this high-powered summit was once known. The global financial crisis seriously dampened this optimism over a decade ago and there is little sign of it returning. Indeed, as we begin 2019, the three main motors of the world economy face their own difficulties. Political paralysis in the U.S. saw President Donald Trump cancel his plans to travel to Switzerland. China’s economy, while still recording growth which would delight its competitors, has slowed down to levels not seen for decades. The European Union, too, faces continued uncertainty, not least over the U.K.’s imminent exit. If this happens in a disorderly fashion, it could have a damaging impact on both regional and global growth and confidence. It was hardly a surprise that Theresa May, the U.K. Prime Minister, decided not to attend the discussions in Davos but French President Macron also had to remain at home in the face of angry populist protests – another trend which has made life for business more uncertain. What is equally worrying is that, in many ways, the world seems to be going in the wrong direction if we are to find answers to the problem we face. As many speakers at Davos pointed out, it can appear that co-operation is out of fashion. Instead of steps to open up the world economy further with the increased jobs and prosperity this will bring, new barriers are being erected. Trade tensions between the U.S. and China, for example, threaten to be a major drag on global growth if they continue. It is protectionism, not openness, which for now seems to have the upper hand. This is not the route, as we have said before, chosen by Kazakhstan which helps explain why the certainty the country provides investors at an unpredictable time is proving attractive. Just as Kazakhstan has proved a steadfast champion of co-operation and dialogue in its foreign policy, it has shown that it believes an economy open for investment and trade is the best driver of prosperity and opportunity for its citizens. It is a choice which has paid off, making Kazakhstan the region’s most successful economy. Over the last 10 years alone, foreign investment of around $300 billion has propelled growth and transformed living standards. 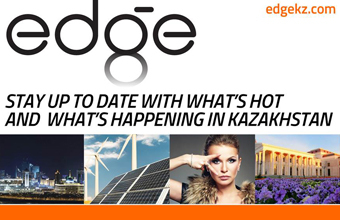 Investors have been attracted by Kazakhstan’s political stability, well-educated workforce and the access it provides to a fast-growing regional market of 500 million consumers. They have also appreciated committed action to provide the conditions where they can operate successfully in Kazakhstan. Through a series of measures to reduce red-tape and increase protection for investors, the country has climbed steadily from 64th in the World Bank’s Doing Business ranking in 2008 to 28th last year. Kazakhstan has also been determined to harness its geographical position to boost trade. Improved transport links have slashed the time it takes to transport goods from China to Europe, attracting new investment into the country as well as increasing regional prosperity. Kazakhstan is a key partner in the Belt and Road Initiative. New opportunities for partnership are being provided by the country’s privatisation programme, which will accelerate progress in major enterprises through an injection of new finance and know-how to support expansion. The Astana International Financial Centre is also providing an additional draw for investment, linking the region better with global financial markets. The provision of reliable finance – as well as the digitisation of the economy, another area where Kazakhstan is determined to set the pace – were key themes of this year’s Davos summit. How important this approach is for the country’s ambitions was confirmed by the decision to give the Ministry of Foreign Affairs overall responsibility for attracting investment. Kazakhstan has a good story to tell and the move will ensure the country’s diplomats and embassies, together with Kazakh Invest national company, ensure it is heard by the widest possible audience. Such investment is important not just for Kazakhstan but also for Central Asia and the wider global economy. At a time when the trend can seem to be shut off opportunities – despite the overwhelming evidence that such actions have a negative impact on long-term growth and prosperity – Kazakhstan is showing it remains open for business. It is a message that, one would think, should have been appreciated at Davos last week.